September is just around the corner! 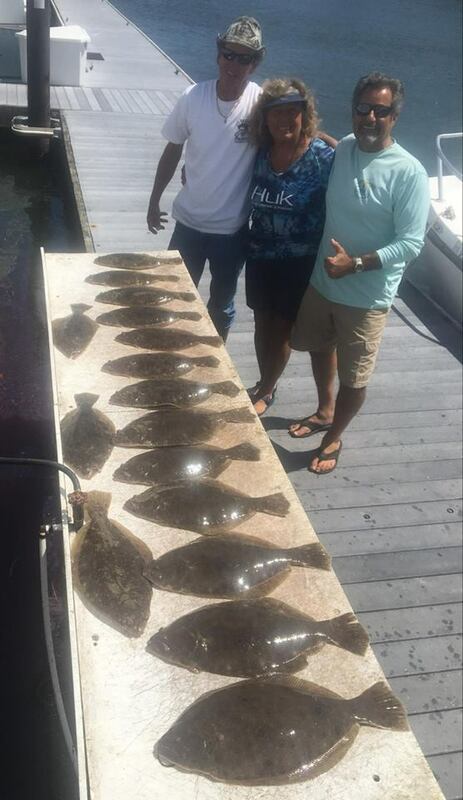 And that’s peak fishing in Virginia! The offshore waters will load up with white marlin. The whites school up off the Virginia coast until the first good autumn blow, or until a tropical storm stirs the cooler water to the surface and off they go. But until then the fishing will be outstanding. Many days charter boat outriggers will look like laundry lines as they return to port. Our local offshore tournaments are currently underway. After some brutal offshore 20-30 knot winds at the canyons, things improved Friday for the Virginia Beach Billfish Tournament. 167 billfish were recorded Friday. The Katherine Anne boated a blue marlin. The 63” Paul Spencer is owned by local Brad Wachowiak and Captained by Daniel Davis. That blue weighed in at 440 pounds. Saturday is the finale day. We’ll list the results next report. Inshore, spot are becoming numerous throughout the bay and its tributaries. Spot fishing for the big yellow bellies should peak mid September. Small to medium croakers are available all over the bay. The spadefish bite is slowing while the sheepshead bite picks up. Spanish mackerel and small bluefish are plentiful along tide rips and along the oceanfront. There are a few kings around. Paul McCallum picked up a nice 47 pond king while chumming off sandbridge. Cobia and big red drum action continues and should peak in September. Some doormat flounder are being caught; the lager flounder seem to be coming from ocean structure. Tarpon are still inside Eastern Shore seaside inlets.